The American Institute of Architects (AIA) St. Louis is the voice of the architectural profession, dedicated to serving its members, advancing their value, and improving the quality of the built environment. AIA St. Louis provides services and fellowship to the architectural profession and eastern Missouri. In addition, AIA St. Louis operates a bookstore featuring books, toys, gift items, cards, artwork and design-oriented gadgets and whimsy for all ages. Architects know that great design, whether in buildings or in books or baubles, makes life better. 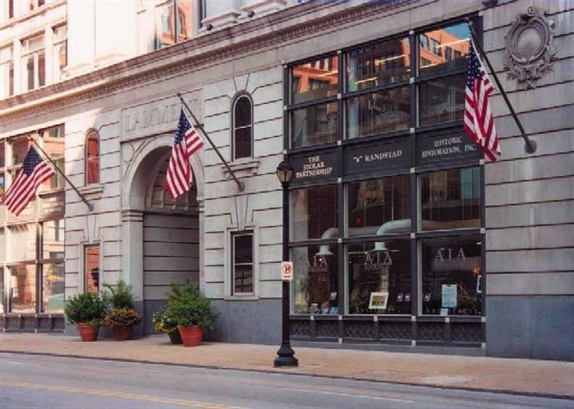 We are located at 911 Washington Avenue in The Lammert Building, just two block west of America's Center Convention Center in downtown St. Louis.